The popular London Transport Museum is an excellent spot to visit for both children and those interested in the trains, automobiles, busses and the history of transportation in London. 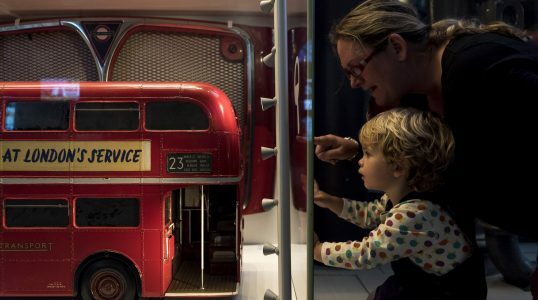 The museum’s collection allows for visitors to climb into the driver’s seat for various historic vehicles, such as the iconic double decker busses of the London streets. If you are hungry, the museum includes two cafes and a picnic area as well.